Products have to meet the requirements of customers and application! 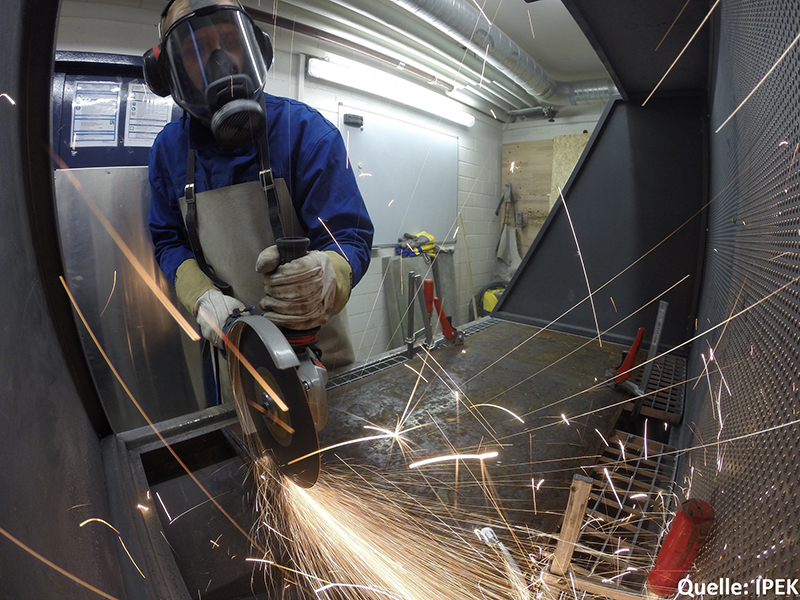 We test and assess the quality of your hand-held tools and whether they meet the requirements. For this purpose, we have developed a conformity-declared testing process based on long-standing research at IPEK – the Institute of Production Engineering of Karlsruhe Institute of Technology (KIT). Testing is carried out by KIT Campus Transfer GmbH. 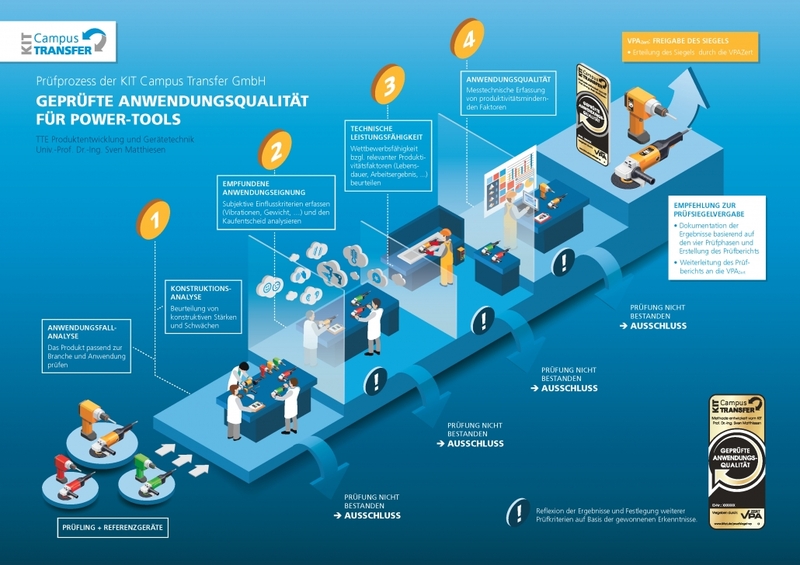 Hand-held devices and tools having a good quality may be granted the quality label shown on the right by VPAZert (VPA Prüf- und Zertifizierungs GmbH). The testing method serves to objectively assess the suitability of hand-held devices. Hand-held devices/power tools are understood to be electric tools (drilling machines, cordless screwdrivers, jigsaws, etc.) as well as gasoline-operated devices (such as chainsaws, brush cutters, etc.). The method is a result of research conducted under the direction of Professor Dr.-Ing. Sven Matthiesen at Karlsruhe Institute of Technology (KIT) and is based on established approaches to obtain independent assessments. The process is based on the method shown below and ensures independent, objective assessment of the suitability of hand-held devices. Detailed information on the testing method can be found in the download area on the right. The devices are always tested in comparison with reference devices that have already been found to have a high quality. 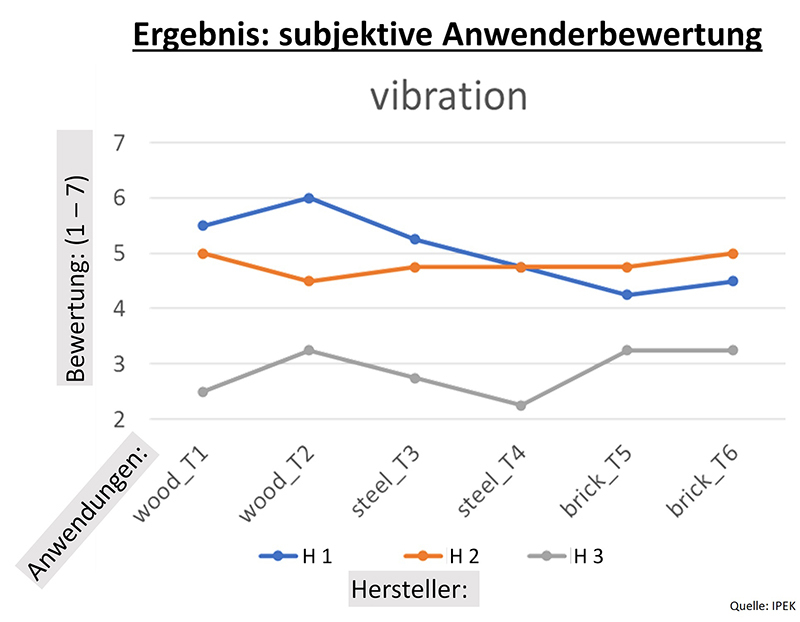 Assessment of suitability is based among others on a technical construction analysis, determination of subjective impact criteria in the phases of purchase decision, commissioning and permanent use, check of the technical performance (wear studies, quality of the work result, durability tests), as well as on the assessment of use quality (measurement of productivity-affecting factors). 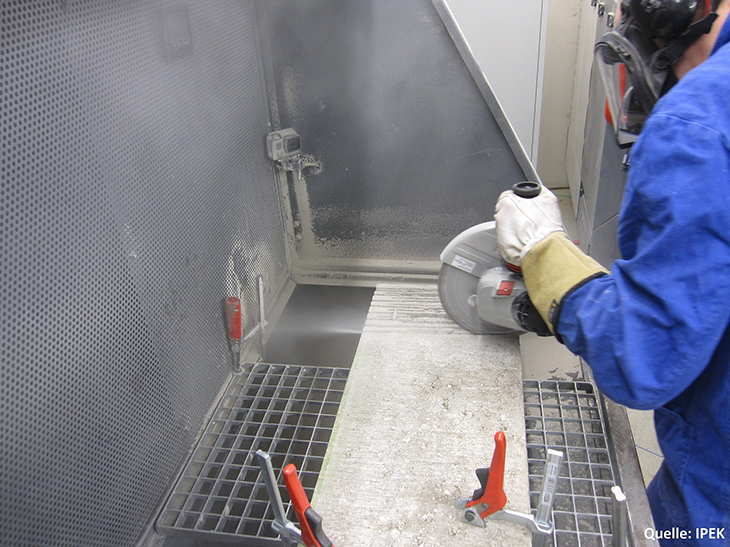 After all defined tests have been passed successfully, the test label can be granted by VPAZert. The test label confirms the high suitability and quality of the hand-held device. The test label for tested quality is granted by VPAZert exclusively and only, if all test criteria of the test process above are met. The test label for tested quality shown on the right has a validity of one year. Which Advantages Does the Label Have for You as a Customer? The label for tested quality reflects the suitability and quality of the devices. It is granted by the independent test and certification office VPAZert exclusively, provided that the test of the hand-held devices has been accomplished successfully. All products carrying this label proved to have a high quality during the test. What Does the ID Number on the Label Mean? Using the ID number on the label, you can have a look at the test results of your hand-held device and obtain detailed information on the test proper. On the right you can find the ID search. Here, you can access the Power-tool Test Center, where the tests are made. Which Benefit Does the Label Have for You as the Manufacturer? 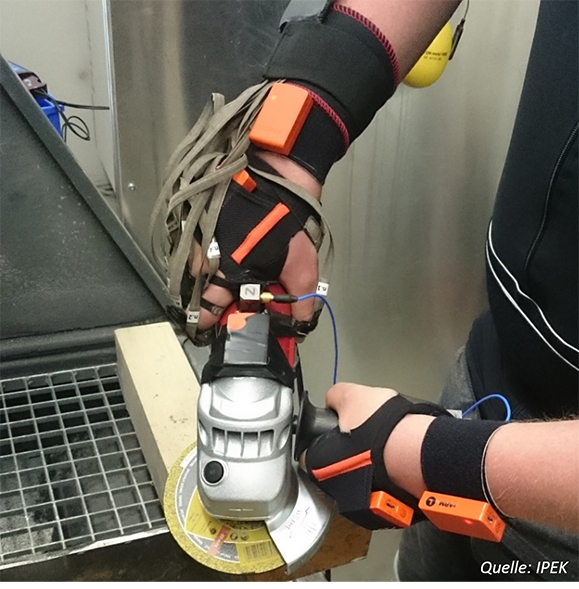 Quality tests by KCT – KIT Campus Transfer GmbH ensure an independent and objective assessment of your power tools for you as a manufacturer. After successful tests, you may be granted the label for tested quality to document the high quality of your product to your customers. You can print the label granted by VPAZert onto the packaging of your tools in order to document the high quality of your products on each individual piece. How Can Your Product Be Granted the Label? To be granted the label of tested quality, your product has to successfully pass all quality tests. 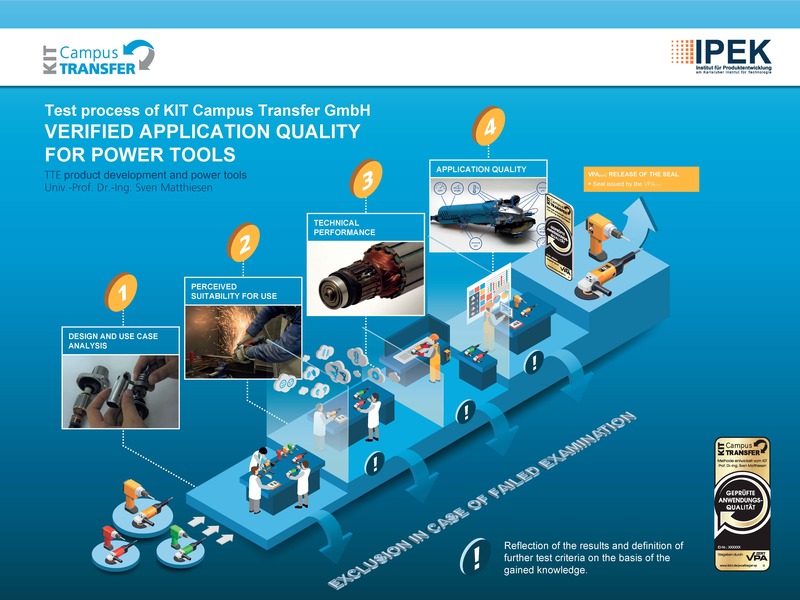 These tests are carried out by KCT – KIT Campus Transfer GmbH. Upon successful testing of your product, granting of the quality label is recommended. If the tests have been carried out according to the declaration of conformity, the label is granted by VPAZert. It is valid for one year.